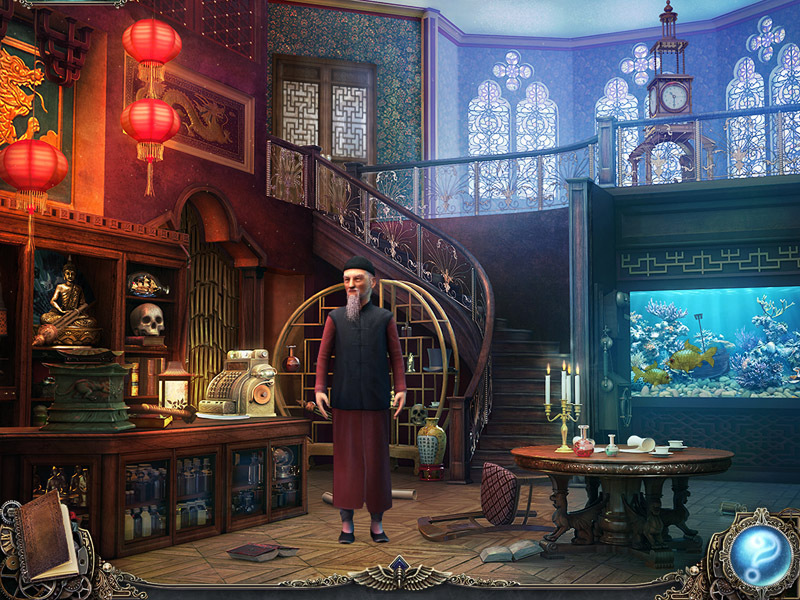 Find magician Andy Fox and his assistant in this hidden object game. Is there a better alternative to Panopticon: Path of Reflections? Is Panopticon: Path of Reflections really the best app in Puzzle category? Will Panopticon: Path of Reflections work good on macOS 10.13.4? Panopticon: Path of Reflections needs a review. Be the first to review this app and get the discussion started! Panopticon: Path of Reflections needs a rating. Be the first to rate this app and get the discussion started! Enter the world of Panopticon: Path of Reflections, in which the border between reality and illusion is paper thin and the answer to a mystery will test the limits of human understanding! Guide Senior Inspector John Perry as he sets out to find magician Andy Fox and his assistant, who vanished into thin air while using a new machine during one of Perry's performances. Explore far off locations in which the unexpected is expected, scour alternate dimensions for clues and hidden objects, and employ your skills as a virtual sleuth to solve cunning puzzles. Along the way, you'll perform magic tricks, interact with the Great Houdini, and outsmart a scheming shop keeper! The world of Panopticon is filled with twists and turn, and will keep you guessing until the truth is revealed in the final, stunning moment of the game. Are you prepared for an adventure unlike any other?